A new stock of Kunzite matched pairs have just arrived at Africa gems! All pairs are carefully selected for matching color, size and cut. Kunzites were first discovered in California in the early nineteen hundreds and given a comprehensive description by the New York jeweler and gemstone specialist George Frederick Kunz � hence the name �Kunzite�. It is a beautiful stone which is said to enhance a person�s capacity for devotion and understanding and bestow inner peace and �joie de vivre� in its wearer! 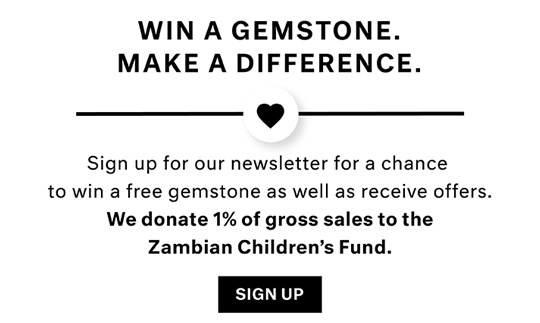 Free Shipping on all Kunzite Matched Pairs at AfricaGems! Enjoy our free shipping on all Kunzite matched pairs and benefit from 25 years of experience. Kunzite matched pairs are great for earrings and a wonderful gift for someone close to you. Depending on the angle of the viewer a Kunzite gemstone can appear violet, pink or colorless. It is known as an evening stone because it is notorious for its habit of fading with prolonged exposure to sunlight so most people prefer to wear their Kunzite in the evening. 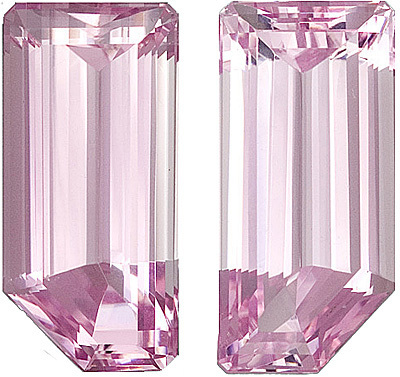 Don�t miss out on these wonderful Kunzite matched pairs at AfricaGems!